Read the actor's official statement about his engagement to his 'DOTS' co-star. 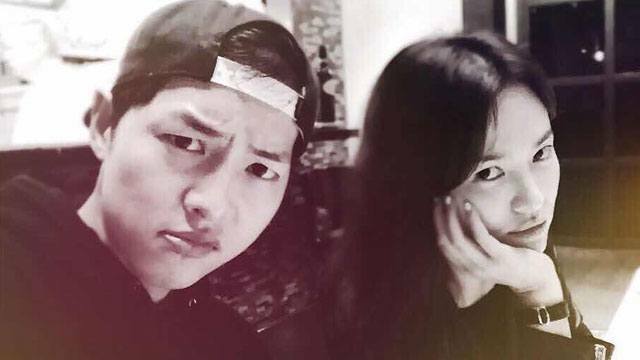 Song Joong Ki just released an official statement about his surprise engagement to his Descendants of the Sun co-star Song Hye Kyo. ICYMI, the Song-Song couple are set to tie the knot in October 31, 2017. Song Joong Ki wrote a lengthy and heartfelt message to his fans detailing his relationship with Song Hye Kyo, and how he's still as passionate as ever to his craft. "It's been a long time since I greeted you guys. I'm writing this because I want to receive your blessings before anyone else. I am truly nervous as I am writing this but I wish to tell you guys my true feelings. I was recently able to be part of a drama that made me shine brighter than ever before and I enjoyed the happiest days of my life because of your tremendous love I received from everyone. After the drama, I gained another precious friend who I shared my honest feelings with, and we developed a loving relationship. At the start of 2016, we promised to spend the rest of our lives together by understanding each others' weaknesses and helping each other through harsh times. So I will be starting a new life with Miss Song Hye Kyo through our wedding on the last day of October 2017. Furthermore, there were many parties involved in the making of the movie and many were looking forward to the release date of this move. Because all these factors, I was worried about the possible harm that might come to this project and if I showed a less-understanding self, I apologize. The thoughts that came to me when I first started acting come to mind. As an actor lives, he mustn't focus on the highs and strive to keep going up. He must learn to look around him and learn to grow wider as a person. I want to work towards being a celebrity that isn't up in a pedestal but rather around his close fans and people who treasure him. I want to be in reach of the people that care about me. That's the mindset I had when I first started acting. I heard once that life isn't about speed but rather about direction. As someone who's moved fast and didn't see his surroundings all this time… I will work harder to become someone who learn from others and learn to walk instead of run. It's been a long time since I said hello to Sunflower. I wanted to share a personal message at the place where I've connected with my fans since my debut. You were probably surprised by my sudden wedding news. I understand that you may think I lacked the respect for my fans and that you could have been shocked, but I hope you can understand me with an open heart. Joong Ki and I were first co-workers who matched well. Throughout the project, I realized that we had similar values and ideas, and I was able to share everything with him. He was such a good co-worker and friend to me, so we contacted frequently and spent time to get to know each other better. Joong Ki showed me his self, trust, and his manners for a long time. I thought to myself that it would be good to spend the future with him and I was glad that he could feel my true emotions as well. That's when I knew that he was the one. I wanted to let my fans know first about the marriage but since this matter involves more than just me, I was extra careful about it. I'm nervous and rattled to be announcing the news of my wedding so suddenly but I believe my fans will support me. Please continue to love and trust my choices as you have until now. I thank all of my fans once again for being patient and waiting until I spoke up. I am no longer one person but two people now, I will take this opportunity to live better and be more conscious of everything around me.